Chevron Lubricants Lanka PLC (Chevron) which has been literally ‘under the weather’ owing to the choppy climate during the past six months, says it will get better at executing better strategies including a strong focus on the exports to beat the heat. “The drought has been affecting the North Central Province (NCP) from the last quarter and spilling onto this quarter. We had a difficult time with the floods in the first quarter. With all this we aim to increase productivity and be better at our strategy execution,” Kishu Gomes, Managing Director Chevron told the Business Times. He added that the company will focus on its export markets more. The company’s top line declined by 18.5 per cent year on Year (YoY) owing to the crippling weather which saw low demand for lubricants, data showed. Mr. Gomes said there’s no agriculture happening in the NCP and overall the seasonal pattern has been disrupted by the bad weather which is impacting the company’s bottomlines. The company’s Q2 gross profit was at Rs. 1.023 billion which is a 21.5 per cent reduction YoY. Citigroup Global Markets Limited Agency Trading Prop Securities A/C which was the number two shareholder of Chevron with 4,653,040 shares as at March with a 1.94 per cent stake shed its holding to 1,754,570 shares as at June. Now it has 0.73 per cent stake. 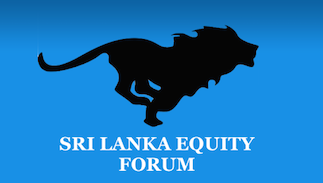 The company’s top 20 shareholder list is dominated mainly by financial institutions with only businessman Ravi Thambiayah-related parties and SLIC as local shareholders. Mr. Gomes added that according to the Public Utilities Commission of Sri Lanka (PUCSL) figures the lube industry has grown only 2 per cent YoY during the past five years. “The global raw material prices will remain where they’re now and are predicted to increase in a few months’ time. But with the challenging macro environment not only our industry, all industries are facing a difficulty,” Mr. Gomes said.